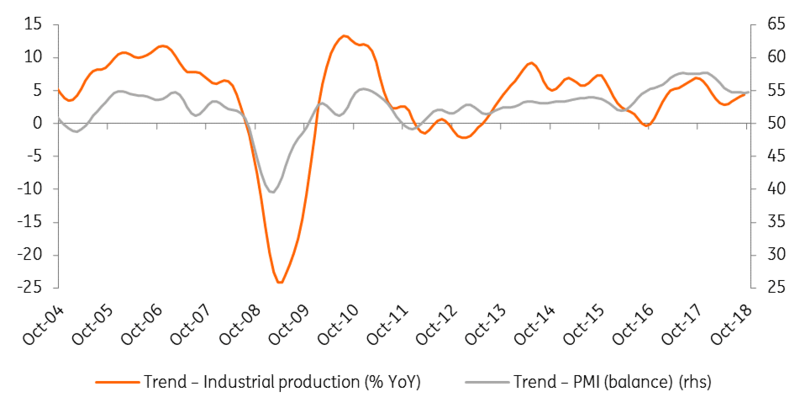 Industrial production has put in its worst performance so far this year with a 2.2% year-on-year increase in September. This follows weak data from the retail sector- another key segment of the economy. On a monthly basis IP fell 2.1%, the second-worst reading since mid-2016. However, this is hardly surprising given the disappointing German figures and the emission test related issues for car manufacturers. We don’t know the details behind the poor performance but as we highlighted above, we believe this is about car manufacturers, the main subsector of Hungary's industry. If trends in previous months continued, we think low-weight industries probably performed well while the food industry likely suffered as adverse weather affected the agricultural sector. 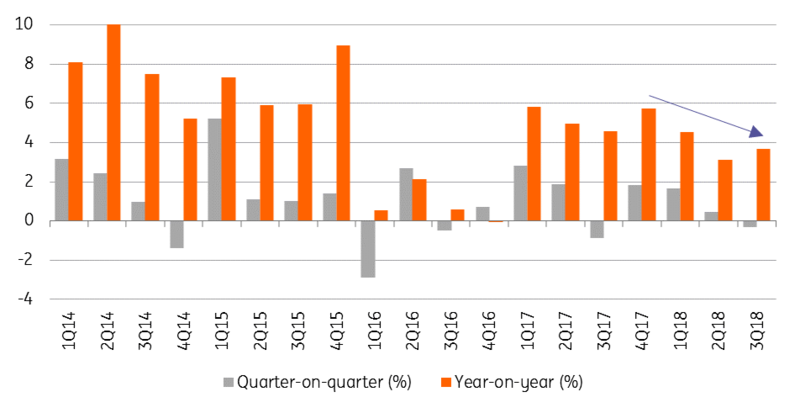 Today's release caps a bad 3Q18 performance overall, with a fall in the volume of production compared to the second quarter. Along with yesterday's retail sales data, this suggests a deceleration in GDP growth in 3Q.